Grow fresh herbs, such as basil, parsley and oregano, in your Indiana home garden. Herbs can be planted outdoors after the last spring frost, which usually occurs between March 31 and April 30 in Indiana. Herbs can be planted from seeds or as small herb plants purchased from a garden center. Harvest herbs at least every two to three weeks to reap a plentiful harvest. Dry or freeze the extra for off-season use. Herbs can also be planted only for ornamental purposes, if desired. Locate your USDA planting zone to determine which perennial herbs will survive your winter months. Indiana contains zones 5 and 6, and most herbs will survive both of these winter climates. However, if the herb varieties you choose are not rated to your zone, you will have to replant them every spring. Choose a location to plant your herbs. Most herbs do best in an area that receives approximately six to eight hours of sunlight, but some, such as basil, need about 10. Some herbs, such as woodruff and angelica, grow best in partial shade (four to six hours of sunlight). Till the soil to a depth of about 12 inches and mix in 4 inches of peat moss or compost. This will help improve water drainage in most Indiana soil types. Also, test your soil with a pH testing kit or take a sample to your local county extension office to find out your soil’s exact pH level. 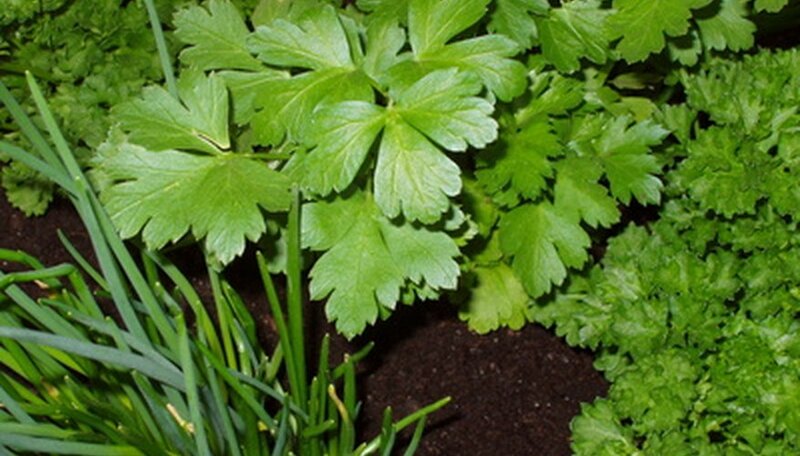 Herbs prefer neutral soil that has a pH level between 6.5 and 7.0. If necessary, add sulfur or limestone to raise or lower the acidity of your soil. Dosing depends on your soil’s current pH level, so follow the dosing amounts carefully on the label. Plant herbs about 12 inches apart and as deep as they were in their original nursery containers. Pack the soil lightly around the plants and water them in with 1 inch of water. Some herbs, such as dill, fennel and coriander, grow best from seed. Sow herb seeds at a depth that is twice as wide as the seeds’ diameter. Thin to one plant for every square foot as the seedlings grow. Water herbs once a week with about 1 inch of water and only when rainfall is lacking. Harvest herbs with a pair of hand clippers. Most herbs will grow fuller the more you harvest, so don’t be timid. You can also grow herbs in containers. Plant one herb for every gallon of potting soil.